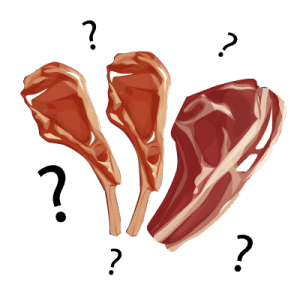 Red Meat – Good or Bad for The Prostate? Prostate cancer is the second most common cancer in American men. In fact, 1 in 9 men will be diagnosed with prostate cancer sometime in their life. Prostate cancer can be deadly. 1 in 41 American men die from this diagnosis. Since prostate cancer is so common, it is important to do as much as possible to prevent it. Unfortunately, we still do not know what exactly causes prostate cancer. The best thing you can do is take steps to reduce your chances of developing this potentially deadly disease. One way to reduce your risk is to avoid eating red meat. What exactly is red meat? Red meat is simply meat that is red when raw. This includes beef, lamb and pork. The World Health Organization also considers processed meat as red meat. These include pepperoni, salami, and lunch meat. We do not know for sure that red meat causes cancer. However, processed meats have been classified as a carcinogen by The International Agency for Research on Cancer (IARC). Non-processed red meat has also been listed as a possible cause of several cancers, including prostate cancer. It is not considered a known carcinogen, but the association of red meat and cancer is high. Several studies have been conducted on red meat’s effect on prostate cancer. A 2009 study found that the consumption of red and processed meats led to an increase in the development of prostate cancer. In addition to this, red meat eaters had a 30% higher risk of developing advanced prostate cancer. Another study published in the American Journal of Epidemiology reveals that men who eat a lot of red meat are 12 percent more likely to develop prostate cancer. And 33 percent of these men are likely to develop an advanced and aggressive stage. Cooking red meat can cause carcinogens. A 2011 study found that the way you cook your meat makes a big difference in your prostate cancer risk. Those who ate medium and rarer burgers and steaks only had a 12% higher chance of developing prostate cancer than non-red meat eaters. Those who liked a well done burger? They were twice as likely to develop aggressive prostate cancer than non-red meat eaters. Pan fried meats also increase your chances of developing prostate cancer. Men who ate 1.5 servings of pan fried red meat per week had a 30% increased chance of developing advanced prostate cancer. If they ate more than 2.5 servings per week, their chances to develop advanced prostate cancer increased to 40%. The big problem with red meat is that is can create known carcinogens when cooked at high temperatures. If you think well done meat is gross, then you are in luck. Science backs you up that you should not eat it. Red meat cooked at high temperatures produces two known carcinogens – HCA and PAH. Heterocyclic amines (HCAs) are formed when foods like red meat are cooked at a high temperature. The creatine found in the muscle of the meat, reacts with amino acids and sugars to produce this chemical. Grilled meats can create polycyclic aromatic hydrocarbons (PAHs). PAHs are formed when the fat and juices of meat drip onto the open flame of a grill. 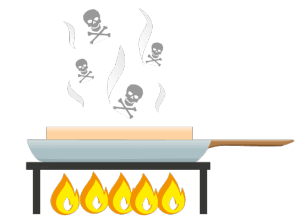 The flames react to the liquids, causing PAHs to stick to the outside of the meat. Smoking meats can also cause PAHs to form as well. The best way to reduce your prostate cancer chances are to avoid red meat almost entirely. Replace red and processed meats with other forms of protein like fish, chicken and turkey. You can also get protein from non-meat sources like beans and nuts. This will take some getting used to. You will need to get creative when cooking familiar dishes and get used to ordering from the non-burger side of the menu when you eat out. You can still enjoy red meat occasionally, but be careful of how it is prepared. Avoid meats that have been grilled, cooked, or pan fried for long periods of time. Order your burger or steak medium or rarer. If you are cooking at home, flip your meat on the grill often and microwave the meat before cooking it so it does not have to be exposed to high heat as long. If you absolutely cannot give up your weekly red meat, then make sure you are eating grass-fed red meat, as well as plenty of vegetables. Green, leafy vegetables contain many vitamins and minerals necessary for a healthy body. These can help offset any ill gut effects caused by red meat. A well balanced diet has been shown to help prevent all types of cancers. So make sure you eat a salad instead of fries with your burger the next time you indulge. Sadly, the kind of chicken, fish, and red meat sold at most restaurants and grocery stores is low quality and should be avoided. The fish is not wild caught but often “farmed” fish or farmed salmon which is worse than the “red meat.” The chicken is raised in only 4 to 6 weeks which should take 12 weeks or longer to raise and fed low quality food with growth factors inherently part of the food so they can claim no growth hormones. The red meat are fed salt water immediately prior to harvesting since cattlemen are paid by the pound and not by the quality. The public thinks a commercial fast food roast beef is the same as expensive high quality grass fed and grass finished red meat which may not even be available at grocery stores. People can go online to order high quality. People just don’t know. Many have never tasted high quality grass fed meat or cannot afford it. Some are following advice to eat chicken and fish unaware that it should be wild caught fish which is not sold at restaurants and it should be expensive organic truly high quality chick which is not sold at restaurants but could be ordered online or by searching and paying more money. When I weighed almost 300 lbs, I ate a lot of cheap chicken thinking it was heslthier than red meat. I lost the weight and I don’t eat cheap chicken or farm raised fish. processed meats that are bad due to the large amounts of sodium in the process. Regardless, the best animal proteins to be consumed are poultry and fish. I’m taken back. I thought you had said grass fed beef was ok to eat. I could have been wrong. 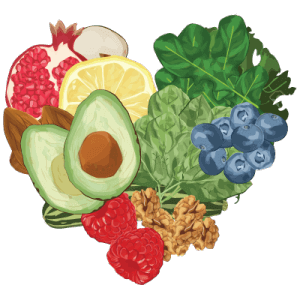 I have prostate cancer and read everything I can find on what I should eat. Hi Donald, ideally you should avoid red meat but if you are going to eat it I do recommend grass-fed red meat of a high quality and of modest portions. Meat that is industrially produced is not good for your health. I hope that answers your question and I wish you good health. Ben. Is a PSA test a good way to know if the prostate is in bad health? Hi Wayne, good question! A PSA Test can help to diagnose the problem, however there are a number of factors that can cause your PSA levels to rise. While the PSA Test can be used as a guide by Doctor’s I would say that a PSA Test alone is not a reliable indicator, as having an elevated PSA does not necessarily mean that you have cancer. This article goes into more depth, explaining how the test works, the pro’s and con’s and much more => http://www.bensprostate.com/psa-test/. I hope you find it an useful and interesting read and I wish you good health. Ben. Ben, I agree with Tom Laverty’s comment that 100% grass fed/finished beef is considerably safer to consume than feed lot beef. It is also a major source of B-12 and CLA, so important for older guys. yes, some red meat is actually good for our health, as long as it is grass fed and finished, as Mike says. I eat this kind of meat raw in the for of “beef tartar”. Have done it since I was young, as did my parents. Just in moderation, like 1 – 2 / week. See Dr. Sears on red meat. He is totally in favour of it. There is a tendency to go to extremes, one way or other.